Программа BorgWarner Turbo Systems / Schwitzer содержит каталог запасных частей и ремонтных комплектов, информацию по ремонту, обслуживанию и установке турбокомпрессоров. Программа BorgWarner Turbo Systems / Schwitzer занимает один CD, работает с использованием CD, язык английский и немецкий. Программа обладает незамысловатым интерфейсом, есть множество вариантов поиска деталей, кроссреференс, для каждой турбины есть рисунок. Кроме каталога деталей, программа содержит руководства по ремонту и обслуживанию для основных моделей турбин и множество другой справочной информации. В данной программе самое большое количество справочной и ремонтной информации по турбокомпрессорам. 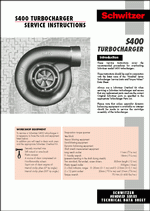 This software is the official aftermarket product catalogue of BorgWarner Turbo Systems and replaces the previous catalogues "K TurboService Interactive 2.0" and "Schwitzer Datasystem 1.0". Most functions have been adopted from "K TurboService Interactive", so users accustomed to that program will quickly learn how to use "TurboDriven Interactive Data System". Besides a new program surface design and a new handling concept, you will find an updated data stock. Make use of the access to the BorgWarner database which is full to the brim with information about turbochargers and their applications in vehicles, engines and other equipment. Inform yourself about the available spare parts, kits and core assemblies for turbos of 3K, Schwitzer and other makes. And there are more new features: the possibility to enter your own personal comments into the application list, the internet update capability (for authorised users), a very useful notepad function, and the easier switching between languages. Many users - different requirements! The simple and intuitively usable program surface will enable you to find the desired information quickly and easily. 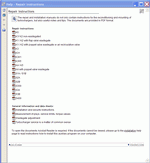 The basic objective of this new version is to show you the contents of the database in a concise and informative way. With the new window concept you can tailor your own individual program surface, displaying exactly the bits of information you want to see. The software is not only equipped with many convenient search and filter functions, but also with the proven where-used and cross-reference dialogues, so that you have immediate access to the information you require. If you have ideas, requests or just questions concerning this software, please contact the TurboDriven Team. We will be glad to receive your contribution. The TurboDriven Team wishes you great success with this CD.